If you want to play bingo, you need to learn the basic rules of the game. 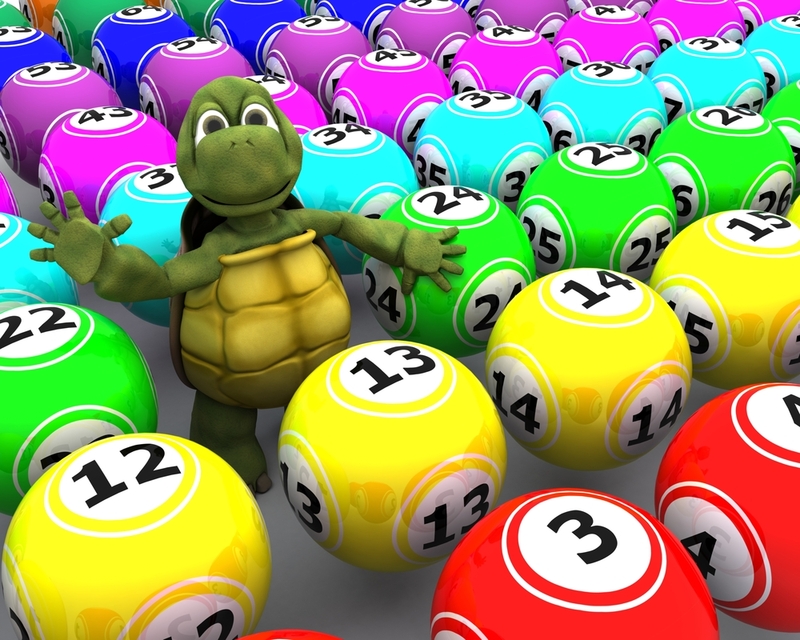 This will allow you to play in bingo halls and possibly even win big prizes. The concept of playing this game is actually very simple. You start by buying a ticket. Whether you enter a bingo hall or play online bingo, this is the first thing that you will do. 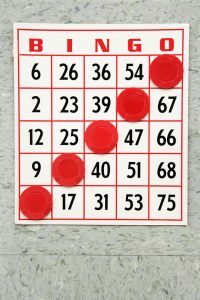 A bingo ticket usually contains 27 spaces. These are arranged in nine columns – that means there are three rows. Usually, the first column has numbers 1 to 9 or 10 – the next columns will continue the number until all the columns have their respective numbers. The tickets are usually printed as strips of 6 so the numbers 1 to 90 will be represented. Once you have the ticket, you can start playing. The game will be presided by a caller who will draw the number and call it out to the crowd. Before every game, the prize will be announced – to motivate the crowd. Not only that, the pattern will also be announced so the players know what they should go for. If you find the number on your ticket, you need to mark it. There are different patterns when you play bingo. Four corners. You have to mark the numbers on the four corners of the ticket. Line. You have to mark all the numbers in one horizontal line. Two lines. You have to mark the numbers on two lines of the same ticket. Full house. You have to mark all the number on the ticket. When a number is called, you will mark the number with a dabber. Some will let you use a pencil or a pen for marking. Once you reach or complete a pattern, you will yell “Bingo” or “Line” or “House”. Someone will come near you to validate if your ticket really won – or if you marked the correct numbers. If the ticket has a winning pattern, you win the game. There are times when you win on your own or other players win with you. There are even bingo games that have progressive jackpots or special prizes. If you qualify, you can win extra cash or prizes. Take note that the rules of bingo will also depend on the type of game. There are two bingo games that you need to familiarise yourself with. This type of game uses tickets with 3 rows and 9 columns. Every row has 5 numbers and 4 blanks. The numbers will be distributed across the row. All in all, you will have 15 numbers on every ticket. You can get a Strip – which are 6 tickets that will give you all 90 numbers. This game usually has three winning combinations – one line, two lines, and a full house. This game uses a 5×5 grid. It has the word BINGO on top of the card and the numbers are distributed below. B usually has 1-15, I have 16 to 30, etc. The middle square does not have a number and is automatically marked. Because of the grid, this game has a lot of patterns – more than the 90 ball bingo game. 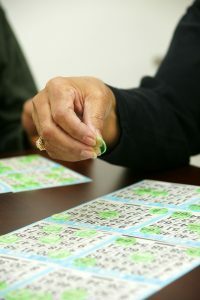 Now that you know the rules to play bingo, you can head out to try your luck and enjoy this very social gaming event.